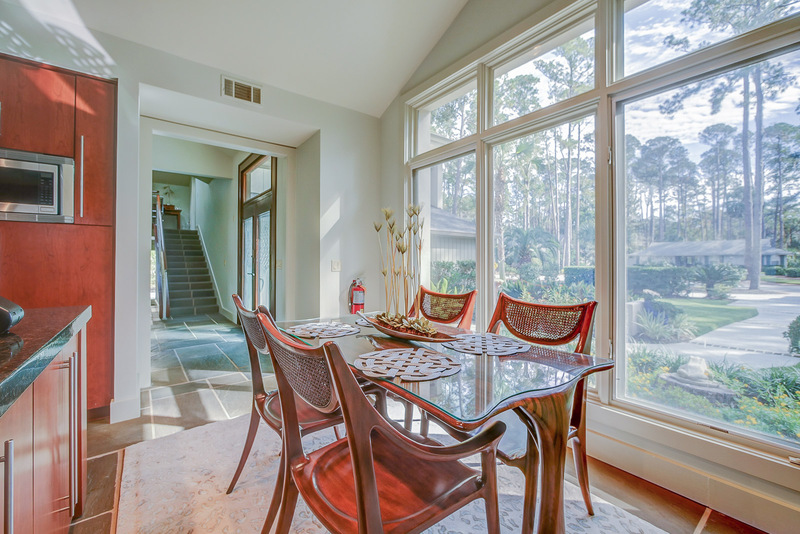 Unbelievable art deco home in the heart of Sea Pines! This 4 Bedroom, 3.5 bath home is amazing in every way. The artistic design in the home is gorgeous, fun, yet comfortable and inviting. Slate floors throughout the main level, the home boasts multiple living spaces and top of the line custom furnishings. Upon entering the home, stairs on your right bring you up to the first King suite with ensuite bathroom. On the main level of the home, you will find 3 additional bedrooms off the living room. The first bedroom has a queen bed and shares a Jack-n-Jill bath with the second king bedroom. The Master suite is sure to please! Luxurious bedding, built-in cabinets and drawers, long lagoon views, and doors to the patio open allowing you private access to the pool and spa. The spacious master bath features dual sinks, walk-in shower and jetted tub. To the left of the foyer is the state of the art kitchen, nothing left to be desired, it has it all and more! Two full-size side by side gas ranges, two dishwashers, two sinks, fabulous Sub-Zero refrigerator, wine refrigerator and Keurig coffeemaker. The kitchen has a breakfast table or pull up a stool at the breakfast bar. 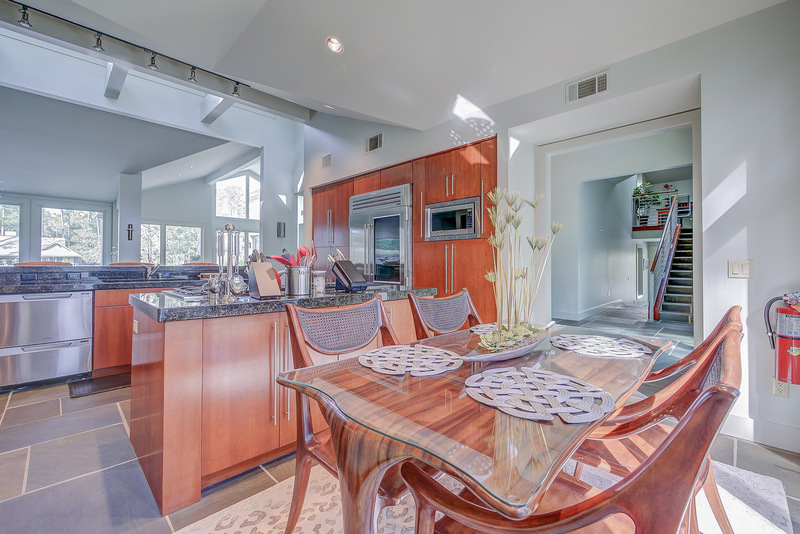 From the kitchen, you overlook the formal dining room with seating for 8 and the formal living room. These rooms are encompassed by floor to ceiling windows which give you views of the lagoon and the magnificent pool area. To the left of the dining room are two more spacious lounge areas with comfort in mind which include a beverage cooler with doors leading out to the patio. The multi-level patio with awning also has an outdoor space with gas grill, Green Egg, and granite countertops. The stunning saltwater pool and spa are adorned with beautiful iridescent tiles to match the artistic touch from the interior of the home and provide you a serene setting to relax in. This home and its amenities provide you with pure luxury! 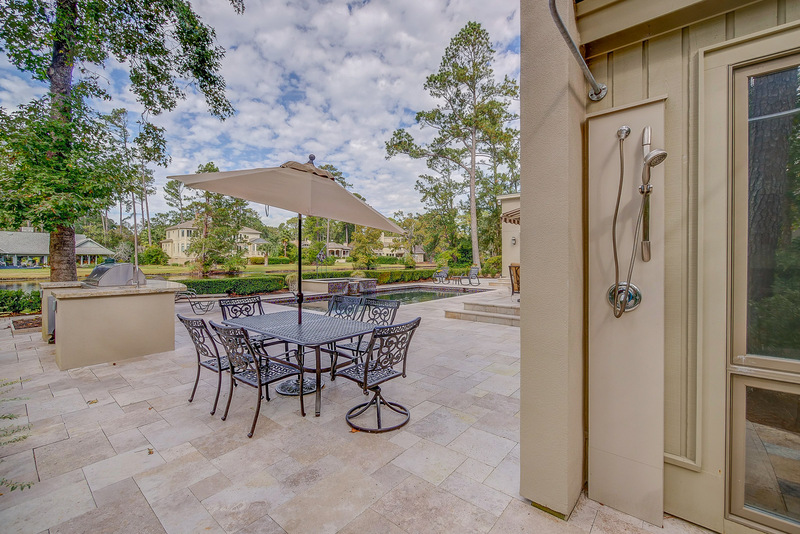 •	Private SALTWATER *heated pool (30 x 16) *This pool & spa have a gas heater and can be heated for an additional fee of $575-$875 + tax per week depending on the season. •	The Fireplace is not for guest use.